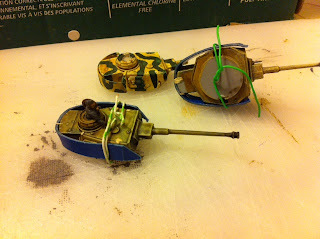 A few old wrecks on the workbench that had been hanging around. 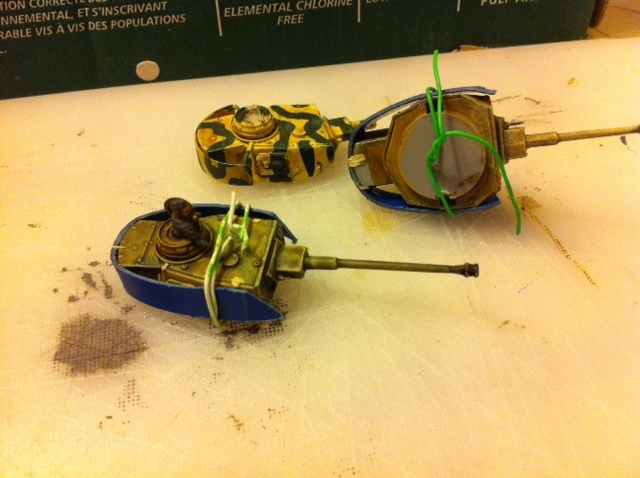 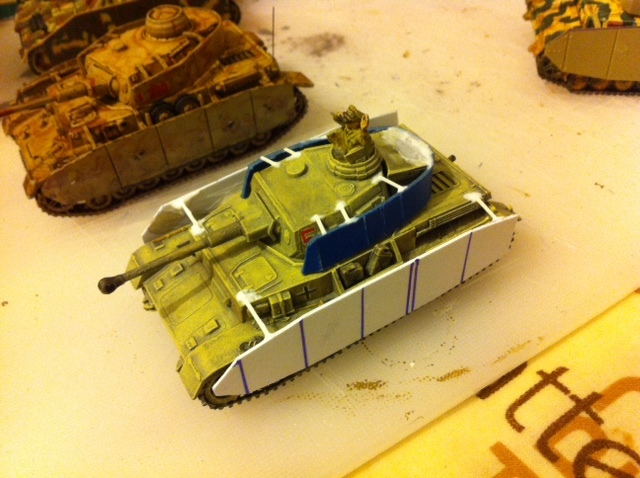 They are are being fixed up and some home-made steel plate schürzen have been added. The finished model just to the top-left of the re-hash above is a Corgi Die-Cast model I bought in a hobby shop in Brighton in the UK about 10 years ago (the shop was like an Aladdin's Cave, full of hundreds of old second-hand trains, toy cars and figures). 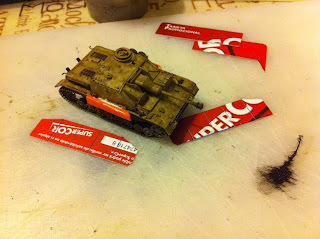 It was weathered to make it look rough and war-weary. 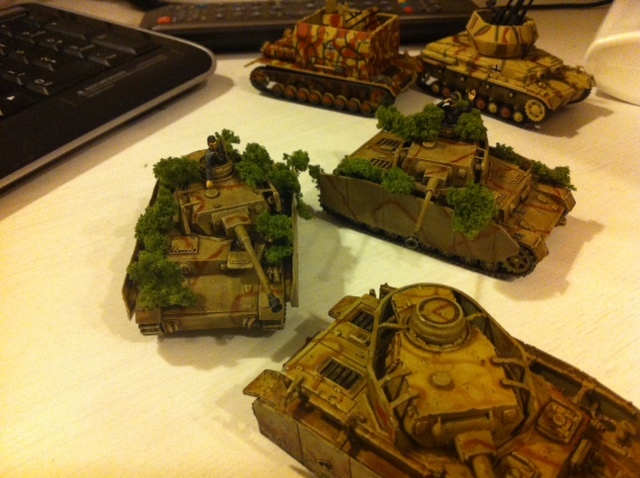 Nearly finished now, the foliage has just been plonked on to see what the final effect should be like. 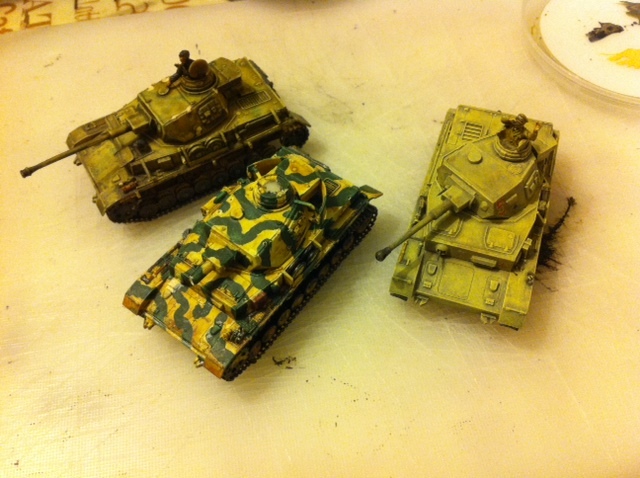 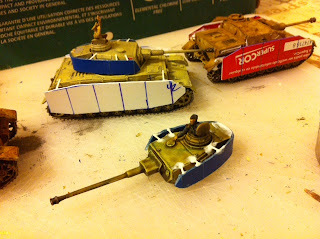 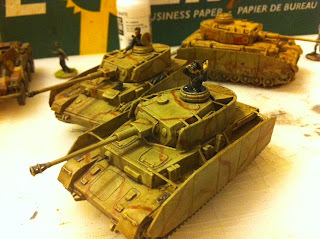 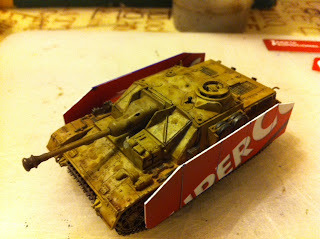 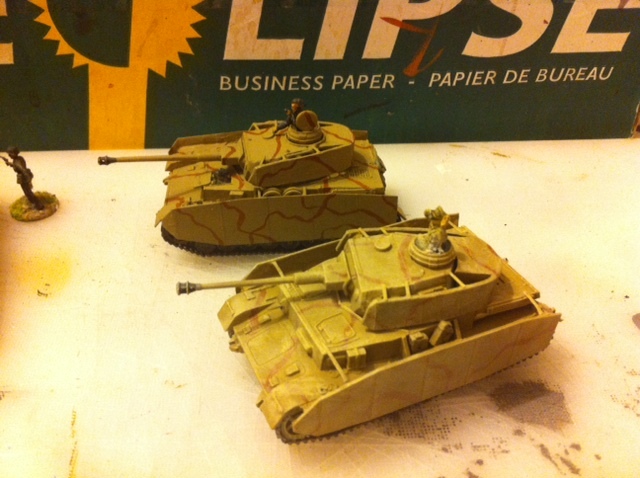 Hopefully these will be finished over the weekend together with weathering those two die-cast Flakpanzer IV's above.